Be Aware: This service assumes that you have a mobile phone that functions in Vienna. Due to unavoidable travel delays we were not able to make the appointment time (required to be set days before hand). Arriving late, we made contact via WiFi at a near by train station, but still had to wait outside the apartment for over an hour for keys. Everything else was great but the message: either bring a functioning mobile phone, be punctual or be patient and flexible. The staff were helpful, understanding and prompt as they could be, but the logistics are just set up this way. The check in process is really easy. the location is ok and near public transportation. the matresses were ok and did their job. 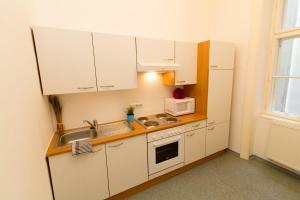 The apartment is very close to the city center and cheap parking garage (P+R) also it offers self check-in. We really liked the access to public transportation (U6/U4 and several tram lines) so it was very convenient to reach the city center via several different routes. 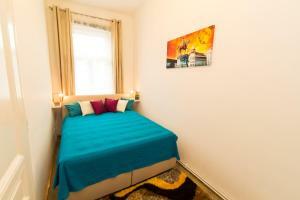 It is within walking distance of a faculty of the University of Vienna. The apartment is fully equipped so we could cook, do our laundry and iron our clothes too. The street itself is very quiet and the windows overlook some huge trees, so you don't even feel like you're in a big city. The wifi is very fast which was a big plus! We really enjoyed staying there and would definitely return next time! Lo espacioso del lugar, así como la vista agradable y la cama comodísima. Se podía llegar al centro caminando en 20 minutos. El elevador fue todo un alivio para subir las maletas. En referencia a los departamentos vieneses resulta muy amplio. Lage, Ausstatttung, Größe, Komfort, Sauberkeit, Freundlichkeit alles super. Sadržaj, opremljenost smeštaja i lokacija su u potpunosti opravdali očekivanja, kao i krevet u spavaćoj sobi. Smeštaj je u mirnom kraju gde je na 5 minuta hoda dostupan svaki oblik javnog prevoza, od metroa, do tramvaja i autobusa. Замечательное месторасположение! Старинный в хорошем смысле дом, высокие потолки, - замечательная атмосфера. Хорошая кухня, есть все для самостоятельной готовки/уборки. Ruhige Hoflage, sehr komfortables Bett, Möblierung in gutem Zustand. Der Ausstattungsgrad an Geräten/zusätzlichen Decken usw. 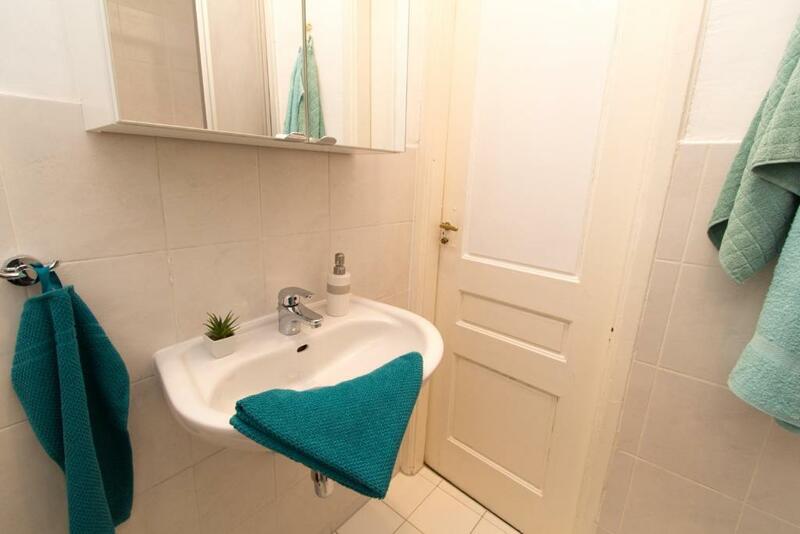 ist ebenfalls sehr willkommen, auch wenn dadurch leider nahezu kein Platz für das mitgebrachte Gewand im Kasten bleibt (ein eigener Schrank für diese Utensilien wäre noch sehr hilfreich). 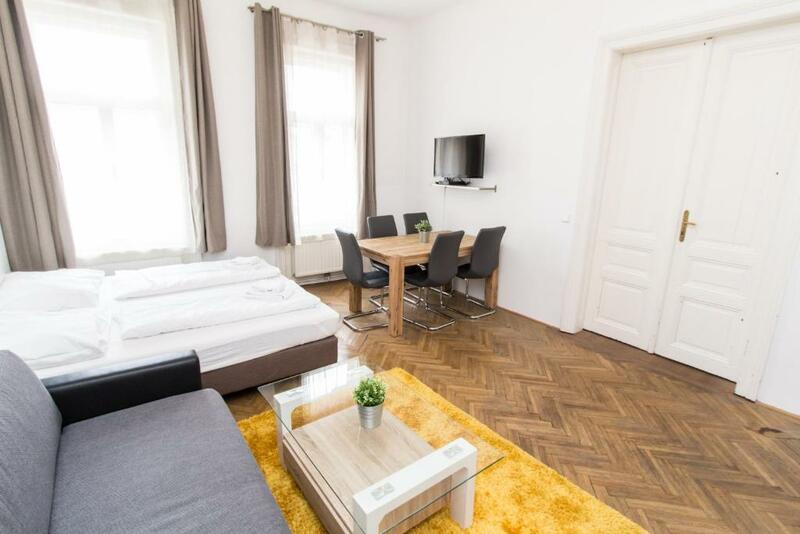 Das Apartment liegt verkehrsgünstig. In unmittelbarer Nähe befinden sich UBahnen und Straßenbahnen. Auch gibt es Supermärkte und mindestens ein Café mit leckerem Frühstück nicht weit entfernt von der Unterkunft. CheckVienna - Liechtensteinstraße is located in the 09. 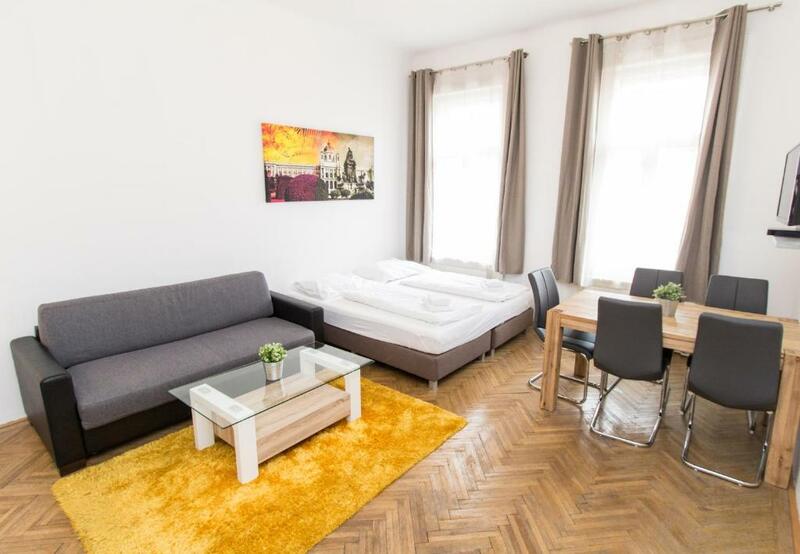 Alsergrund district of Vienna, 1.3 miles from Rathausplatz and 1.6 miles from Vienna City Hall. Guests can enjoy the free WiFi. 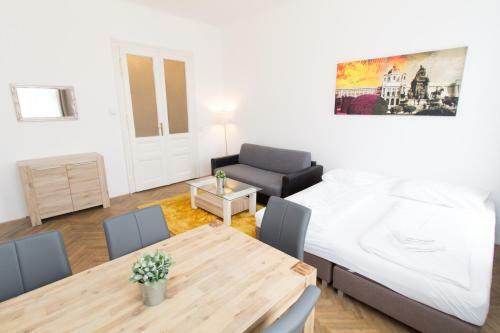 Vienna Volksgarten is 1.7 miles from the apartment. Schwechat Airport is 13 miles from the property. 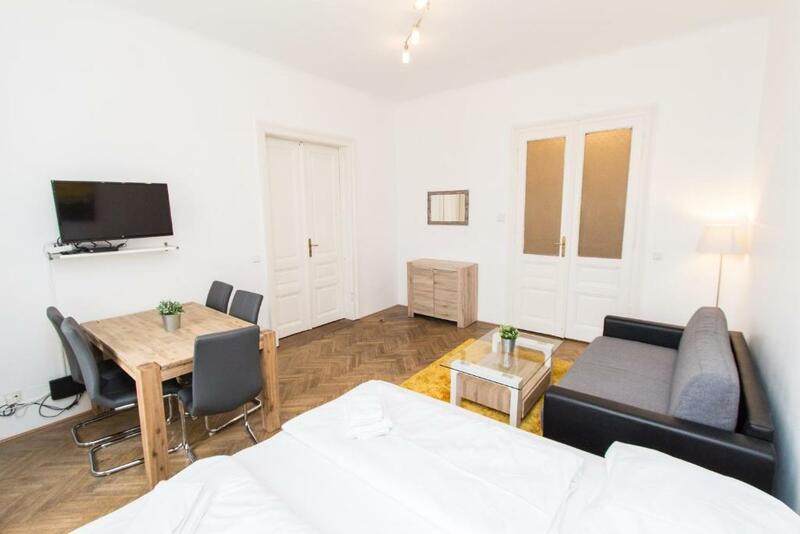 When would you like to stay at CheckVienna - Liechtensteinstraße? 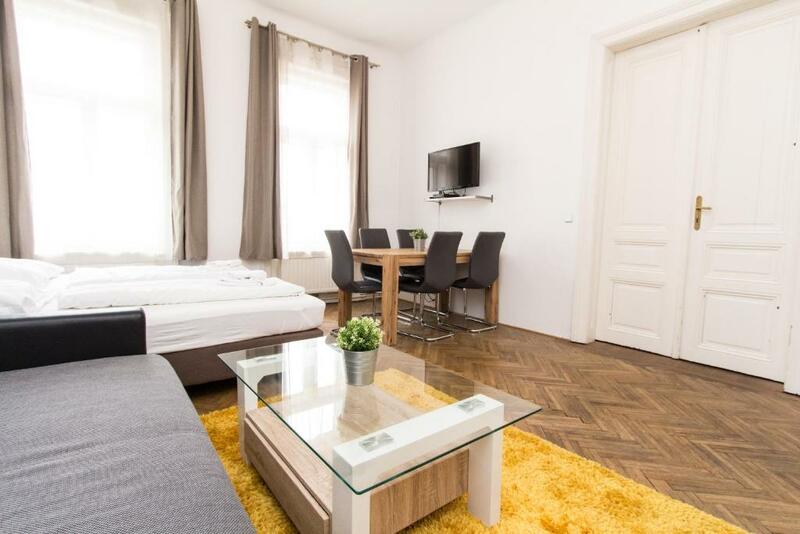 House Rules CheckVienna - Liechtensteinstraße takes special requests – add in the next step! Please inform CheckVienna - Liechtensteinstraße of your expected arrival time in advance. You can use the Special Requests box when booking, or contact the property directly using the contact details in your confirmation. we were 4 and only 3 had pillows and blankets. Most facilitys didnt work well like the hair dryer and the iron. The cover had blood stains all over. There were no shower gel/shampoo, the dryer was broken. All the mattresses are on the softer side, so if you really can't stand that or have back problems, this is something to keep in mind. It was fine for us, so I guess it's all down to personal preference.